Please find here a presentation as well as few inside pages to give you a sense of the layout. In running, there are no rules and no referee. No team and no opponent. No schedule and no compulsory equipment. And no limits either. Neither a training manual nor a novel, this book is a tale of real-life adventures. 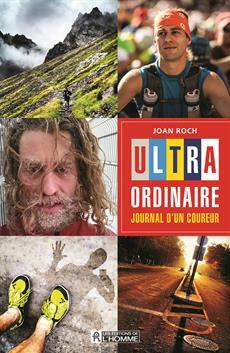 Through his reflections, stories and anecdotes, Joan Roch lets us experience a human adventure out of the ordinary and yet available to all. - This book is aimed at all runners, whatever their age, level or experience. Everyone will see themselves in the stories of an amateur runner juggling everyday constraints, successes, injuries, personal victories and withdrawals. - These stories convey a universal message, expressing runners' values and doubts, joys, suffering and perseverance. - The photos taken by Joan Roch present a never-before-seen view of some of Montreal's attractions: the Old Port, the Biosphere, the Jacques-Cartier Bridge, etc.